As we grow older, the natural processes in our body tend to slow down. When it comes to skin, this means the loss of volume and elasticity, which then leads to more pronounced fine lines, wrinkles, and discoloration. Some of these problems may seem unsolvable, but there are definitely ways to reduce the symptoms of aging skin. 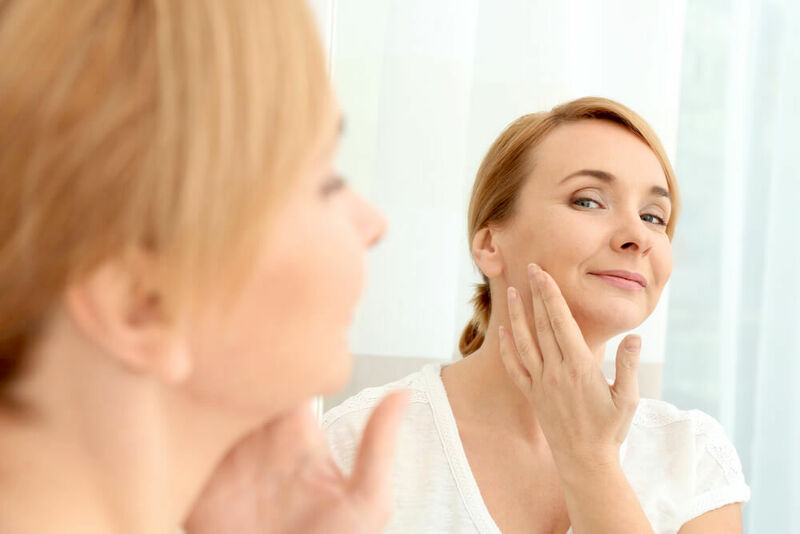 Even though the way your skin ages is closely related to genetics, a good skin care routine can still play a huge role in minimizing these effects. Every good skin care begins with thorough cleansing. However, ridding your skin of impurities when you’re in your 20s and when you’re in your 50s is a totally different ball game. This is because the skin of people who are in their adolescence and early adulthood tends to produce more sebum, so the cleansers aimed at this age group will be designed to remove excess oil and prevent breakouts and acne, which are a standard problem at this stage of life. Mature skin doesn’t mesh well with overly harsh formulas or products saturated with abrasive ingredients. Since our skin tends to dry out as we get older, it’s paramount that your cleaners purify your skin from environmental pollutants without causing even more dryness or irritation. When it comes to formulas, this means switching to cleansers that are on the more hydrating side. Milk and jelly cleansers, as well as cleansing balms and oils, are all great options for detoxifying your skin without robbing it from its natural oils. Once you start noticing first signs of aging, it might be time to consider using more effective exfoliating agents. In recent years, acids and retinoids have become the most talked about formulas for battling signs of aging. Is the hype justified? What do they do, anyway? Acids, such as AHAs and BHAs, are potent in gently exfoliating the outer layer of the skin. By doing so, they can be helpful in eradicating age spots, fine lines and contribute to an overall balanced complexion. Retinoids are a family of chemical compounds that are derived from Vitamin A. When it comes skin care products, there are prescription-strength retinoids and their somewhat less potent over-the-counter versions. 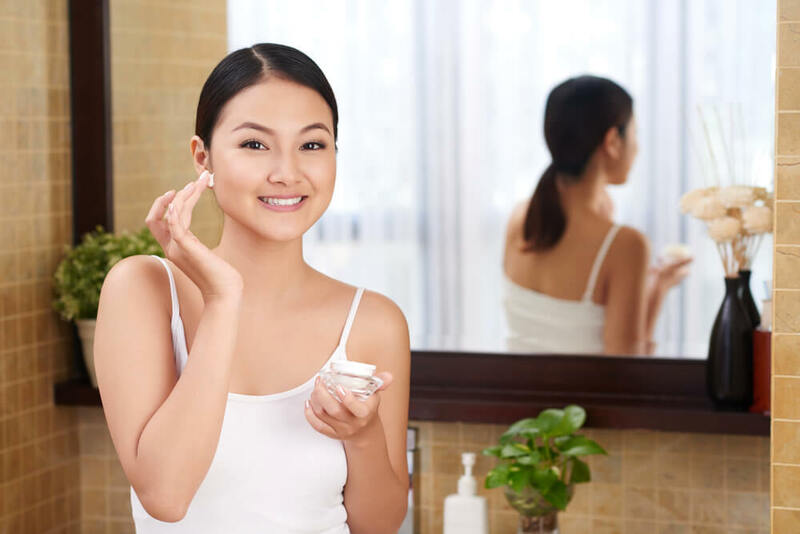 The benefits of the active ingredients found in retinoid creams and serums are too many to name: they can help unclog pores, reduce fine lines, minimize skin discoloration and boost skin cell turnover. As such, they are an invaluable weapon in the battle against signs of premature aging. Always follow up with a layer of moisturizer to prevent your skin from drying out. Another thing to keep in mind that using retinoids and acids might make your skin more vulnerable to UV rays, which is why you should also apply a high SPF sunscreen on days when you’re using acids or retinoids. With age, you might start noticing those pesky dark spots and acne scars are becoming bigger and more noticeable. Many factors can contribute to more pronounced skin discoloration, including long-term sun exposure, pregnancy, history of acne, etc. Whatever the reason behind your hyperpigmentation might be, you will be relieved to find out that this irritating skin problem can be minimized or completely annihilated. 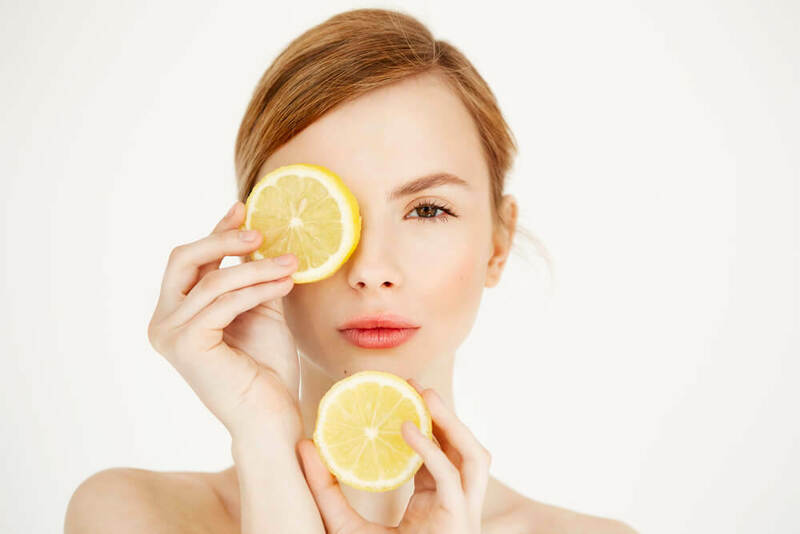 And the most effective ingredient to help you in that fight is Vitamin C.
This skin-boosting ingredient has been proven to be effective for fading age spots and brightening up the complexion. The easiest way to enrich your regimen with this all-powerful agent is via serums or spot treatments, which can penetrate deep into your pores and replenish them with a much-needed kick of Vitamin C.
Once you’re past a certain age, slapping on whatever moisturizer you have in your cabinet and calling it a day simply won’t cut it anymore – especially if you’re looking to achieve that well-maintained, youthful appearance. A great way to boost your moisturizing game is to introduce a serum into your skin care routine. These super-charging products are highly effective in replenishing your skin with all the nutrients it needs to look healthy and radiant. What’s more, they can tackle a host of skin problems that arise with maturing skin, such as fine lines, wrinkles and age spots. Serums are also lighter and faster to absorb than your regular moisturizer, so incorporating them into your day-to-day routine should be as easy as ABC. Thanks to the refined texture of modern-day serums, these potent nutrients will be able to seep deep into your skin and transform it from inside out. Even if you’re giving your face regular TLC, it’s easy to forget that other parts of your body require proper skin care, too. One of the first places where signs of aging start to appear is your hands, which tend to be the most exposed to environmental pollutants. If you want to nip this problem in the bud, you have to make sure you’re supplying your hands with enough moisture. The best time to do this during your nighttime routine – as this will allow your hands to recuperate while you’re catching up on sleep. To do this, simply exfoliate your hands with a gentle scrub, then slather them with your favorite hand cream. In the morning, the skin on your mitts will be soft and supple. Some signs of aging are just the natural consequence of passing time, and there’s nothing we can do about them. However, some of these culprits are 100% environmental. And, as you probably already know, your skin’s biggest enemy is the sun. If you want to mitigate the damaging effects of day-to-day sun exposure, you should definitely put effort into protecting your skin from direct sunlight. The most important tool for this is, of course, a quality sunscreen. Luckily, the new generation of sun-blocking products come in sheer formulas that are still able to provide ample protection for your skin. To find your ideal everyday sunscreen, go for a broad spectrum formula with an SPF of at least 30. Apply it at the end of your skincare regimen, just before makeup. Make sure to also slather sunscreen on your neck and the décolletage area, as skin on these parts tends to be even more delicate and prone to sun damage. In sizzling summer months, you might also want to provide a physical barrier for your skin. A chic sun hat will make sure your face always stays in the shade, while a pair of stylish sunglasses will prevent you from squinting and developing crow’s feet. When it comes to building an effective anti-aging regimen, hydration is the name of the game. 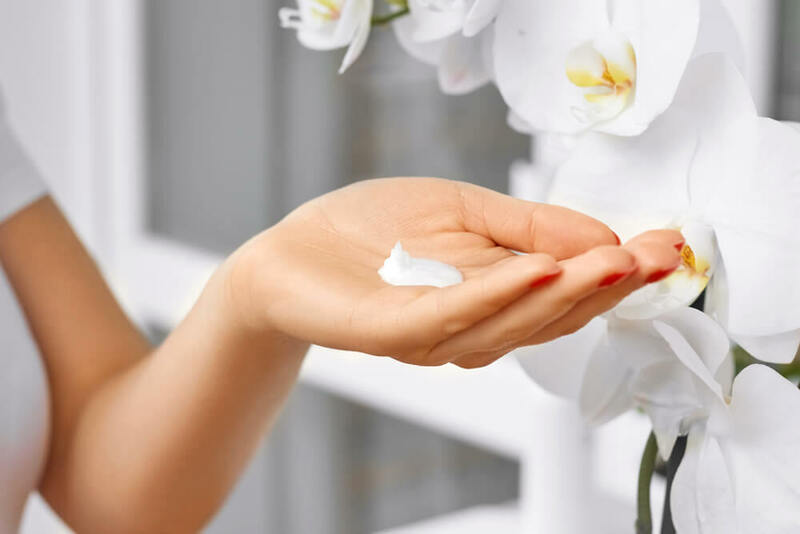 That’s why you should pay special attention to the moisturizer you choose to be a part of your beauty regimen, as this product will play a key role in mitigating fine lines and patchy skin. However, this might be easier said than done – after all, drugstore shelves are lined with a bazillion different hydrating products, each promising miraculous effects. So, how to find the perfect anti-aging moisturizer? These will help will reduce fine lines and promote volume and elasticity in the skin. At night, you can amp up your hydration game by layering a sleeping pack, which will help recharge your skin even more efficiently while you snooze away the day. Wearing a full beat every day is simply not the most appealing look once you’re past a certain age. A full face of makeup usually entails heavy, pore-clogging foundations and powders that weight down your skin and emphasize the imperfect texture. That’s why people with mature skin should always gravitate towards lightweight, hydrating products when it comes to covering up the imperfections on their face. Base makeup such as BB creams or tinted moisturizers are ideal for evening out your skin tone without blocking the natural shine on your face. When it comes to concealing, focus on water-based, light-reflecting concealers that will be able to color-correct your under-eye area without settling into fine lines and wrinkles. Powders are amazing for setting your makeup, but if your skin is already lacking in oils, then you should definitely be strategic with your application. This means avoiding areas that are already dry on their own – usually cheeks and outer parts of the face. Use finely milled, translucent powder and focus in on your nose, forehead and chin area. Dust only a small amount to avoid the overly cakey look. Steering clear from thick, highly saturated makeup is a rule that applies for eye and lip products, as well. Of course, this doesn’t mean that the fierce red lip look has an expiration date – because it can definitely be rocked at any age – just that you should be selective when applying statement products, as they can age the skin and bring attention to your imperfections. You might be wondering then, what are the flattering eye looks and lipsticks for mature skin? Well, when it comes to eyeshadows, you might want to navigate towards shimmery, liquid formulas. These will be easier to apply on those more delicate areas, and they won’t further emphasize dry or saggy skin. As for mascaras, look for mascaras that focus on length, rather than volume. This will help you look more awake without giving you the dreaded spider lashes. Lip-wise, you can never go wrong with hydrating lipsticks or lip creams. They will make your pout look plump and youthful without being too dramatic. For the ultra-flattering look, chose a lip product that’s a shade or two darker than your natural lip color. This will bring back pigment into your lips and make you look fresh and vibrant. So far we have learned that when it comes to anti-aging beauty techniques, looking hydrated at all times is the key. However, it’s not always easy to achieve this effect through skin care alone – on certain days, you might have go the extra mile and cheat the glow with makeup. Luckily, this is very easy to do! You can start off by prepping your skin with an illuminating, moisture-packed primer – this will help your skin look as if it’s been illuminated from within. Once you’ve applied your base products, you can kick up the radiance factor by dusting a bit of highlighter on the top of your cheekbones, cupid’s bow and in the inner corner of the eyes. Your luminous, age-defying look is complete! When it comes to your skin, reversing time unfortunately isn’t possible. But the good news is that you can definitely rock healthy, glowing skin at any age. With these tips, we hope you will be able to make those goals an everyday reality.